I am glad to report that since last posting, my week surely turned around! My new phone arrived; I had a busy, but fun weekend; and I'm wrapping up PALS (formal reading testing) with my kiddies and am ecstatic over their growth since the fall! I do have a bit of bad news though...my Chapel Hill post is delayed YET AGAIN! I am having major technology issues (you already know about my phone and the USB ports going out on my laptop): Well sweet friends, yesterday after taking forever to add and edit all the pictures from Chapel Hill on my school computer, they wouldn't load onto blogger for some reason. Whenever I would try to upload one of my pictures to Blogger, the computer would either restart or the screen would act weird and my picture would appear distorted, as a double image, etc..what the heck? So, today I am posting about something else with hopes that by next week I will have the computer issues figured out and can share our wonderful trip with you! With that said...onto today's post! Y'all know I rarely post about beauty products...I tend to stick with what I like and leave it at that. But every now and then I find something really great and decide to share it with you. Today I'll be sharing the favorite beauty products I discovered in 2012! When I treat myself to a spa day, my favorite treatment is always a body scrub. I love the way it feels to scrub away dead skin and also love how smooth and fresh my skin is afterwards. I've tried lots of different scrubs at home, but wasn't "wowed" until I discovered Charleston Soap Chef's "Sugah Scrub." The smell is incredible and I can't get over how soft my skin feels after using it. 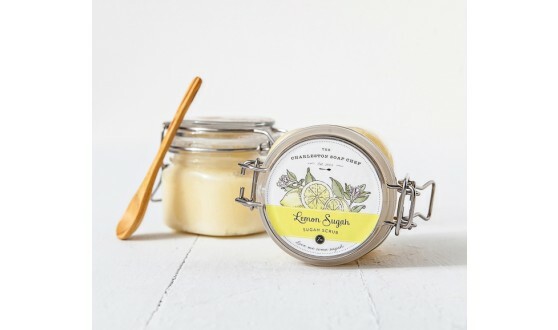 This would make a great gift for a friend (or yourself) who deserves some pampering! 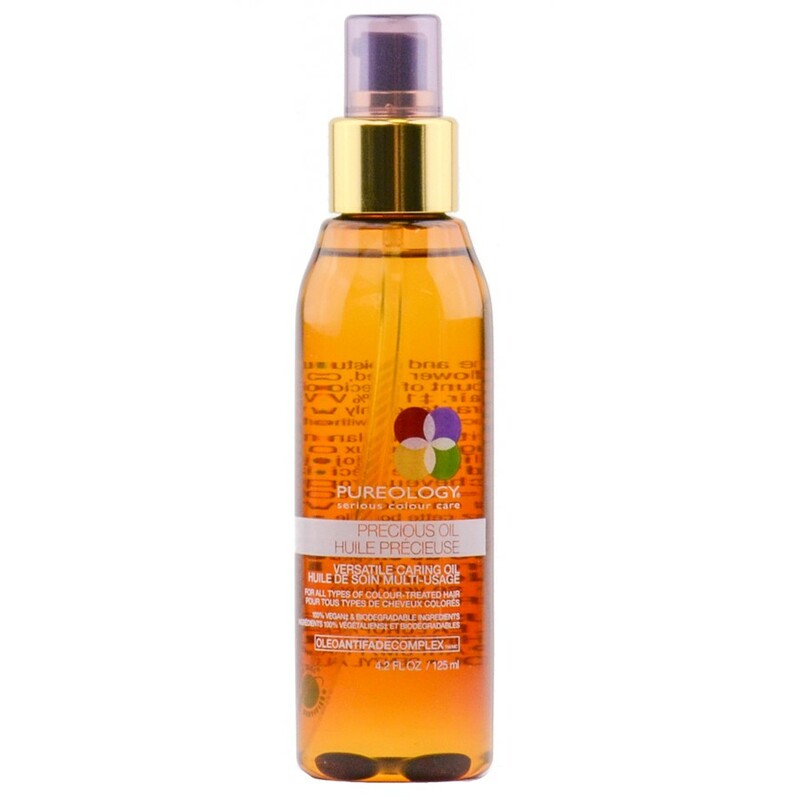 My hairdresser has been using this in my hair for a while now, but I didn't take any home with me until a few months ago. I am so glad I did! This oil can be used as a masque for your hair or for daily use. I usually put 1-2 drops in my wet hair before blow drying. 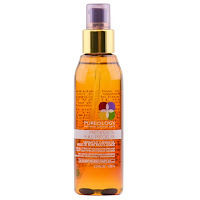 It helps cut flyaways, keeps my hair healthy, and even smooths out my cowlick a bit! On top of that, the smell is wonderful! I am all about red lips...BUT, my lips are not! I have the smallest lips and in the past whenever I've tried red shades of lipstick I look ridiculous. It just hasn't worked for me. After a friend recommended Clinique's Chubby Sticks though, I decided to give them a try. I'm hooked! Chunky Cherry is the perfect pinky red that accentuates my lips' natural color and I also love how its application is easier than your typical lipstick. I'm planning to try out "Pudgy Peony" next! I'm not sure if I've mentioned my struggles with poison ivy on the blog, but Bryce loves yard work...I do not. On top of that, every time I've tried doing yard work with him, I've wound up with horrible poison ivy. Well long after my first bout of the poison ivy had healed, in one spot my skin remained super dry, so dry that it was painful! I tried slathering Vaseline on it with hopes it would curb the dry skin..no luck. 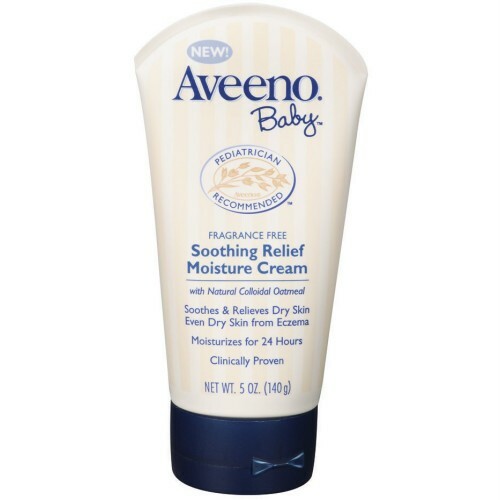 I decided maybe a baby lotion would do the trick and picked Aveeno for two reasons: 1) I like that their products are all natural and 2) It was unscented and I am very particular about not having scented lotion in addition to my perfume! 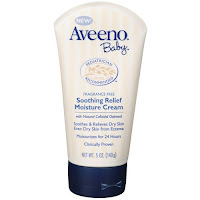 I started using the Aveeno a few times a day on the dry spot and it was gone in no time! Since then I use this as my everyday body lotion and love it! I received this as a freebie for my birthday from Sephora and really like it. As I've mentioned before, I'm partial to Rosebud Lip Balm, however, being the germophob that I am, Sugar is perfect to keep in my purse! Rosebud comes in a jar, meaning you have to use your fingers to put it on...therefore I only use it at home when my hands are clean. The issue is that when I'm at school or on the go I sometimes need lip balm. I've tried tons, but hadn't found one I liked until discovering Sugar! On top of that, they have tinted versions in six different shades! Once I started teaching, I began to notice that my old concealer wasn't quite cutting it and on the days I went with no make-up, my under eye circles were a bit scary! During my search for a better concealer I discovered Laura Mercier products. I was matched with Shade 2 of her Secret Concealer and have been very pleased with how much more awake, rested, and bright it makes me look. I also ended up buying her Second Skin Cheek Color in Rose Bloom. It makes my look a bit more dramatic, while also keeping a natural look. I haven't tried any other Laura Mercier products, but I have a feeling I will be checking more out! So there you have it, the best beauty products I discovered in 2012! Come back Friday for a yummy Mai Tai recipe! And come back again next Wednesday for (fingers crossed) a post on our trip to Chapel Hill! Have a great week, chickies! 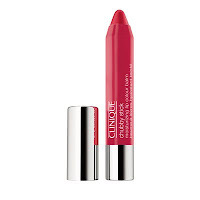 I have heard really good things about the Clinique Chubby Stick! Even though the name kind of makes me feel weird, it's definitely something I'd like to try! I totally have the same issue with my lips, I love red lips but I look ridic. and like a clown ahha. I need to try the Clinique Chubby Stick! Thanks for the tip!! I have the chunky cherry too! That scrub looks delightful. i CAN'T WAIT TO TRY THE LAURA mERCIER CONCEALER!! Somehow I missed that you are back to blogging regularly~yay! I can totally relate to blogger being awful with pics. I still haven't figured out how to add more pics without going over the quota Picasa has allotted. It's all so confusing..grr! 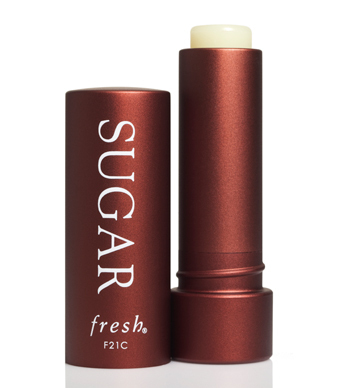 Love the Sugar lip balm!! And I want to try the Chubby Stick now. I have the hardest time finding good lip colors for myself! I've heard so much about the Sugar lip treatment, but I didn't know you could buy them tinted. I'll have to check that out! i've been shopping my kitchen for beauty products this year! Going to try the Chubby Stick recommendation. Been wanting a no-fuss red lip look, but my lips are on the thin side too, so I haven't had much luck. My sister and I call it Muppet Mouth! Thanks!